"a close approximation of the absent (as close as can be)"
A close approximation of the absent (as close as can be)’presents a story that unfolds through a succession of thirty-two photographs. Their true nature remains undisclosed, as the images themselves are not shown. 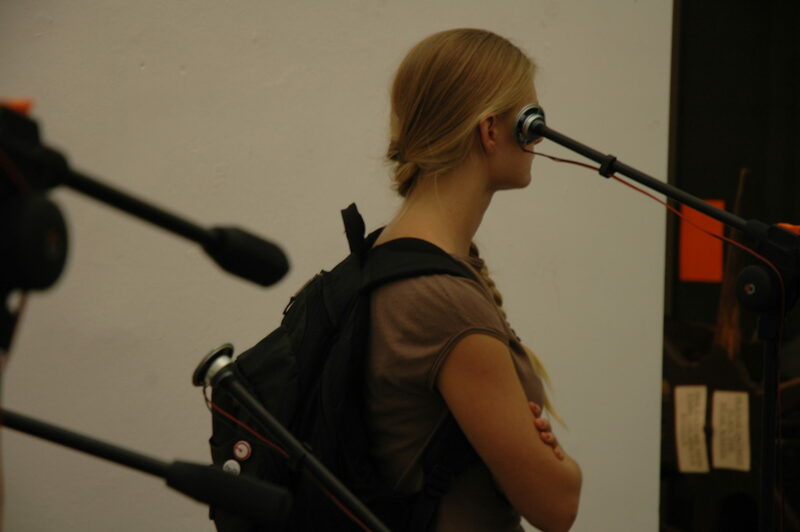 In their place are the recorded voices of twelve people who, uncoached by the artist, describe what they see and are presented, one speaker for each voice, in an audio installation. The descriptions span a wide range from technical lists of content to highly personal analysis, breaking down the seemingly inherent objectivity of the medium and instead focusing on the subjective truth of the witness, the one who was there.